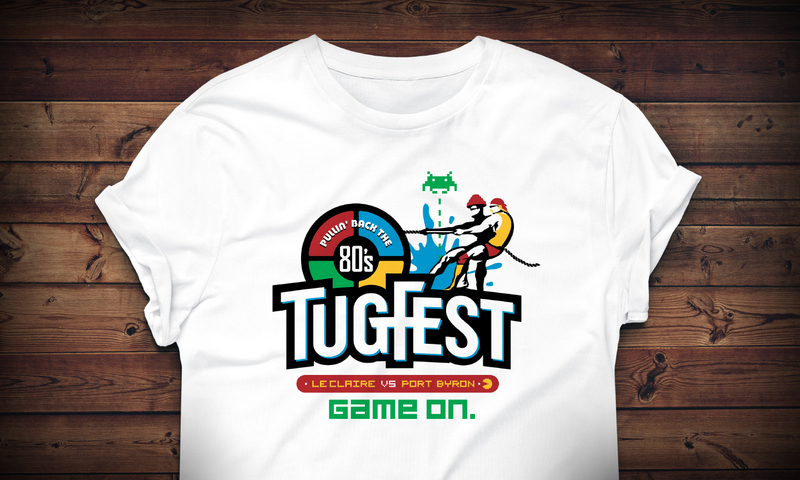 We’re strong believers in supporting our community, so when the opportunity presented itself to create the marketing collateral for Le Claire’s very own TugFest, we couldn’t say no. 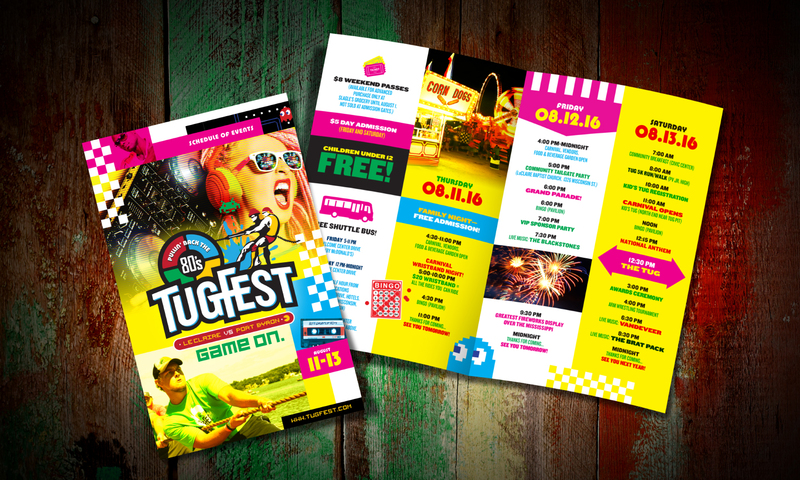 After all, our team lives and works here and we want Le Claire to continue on its robust growth. 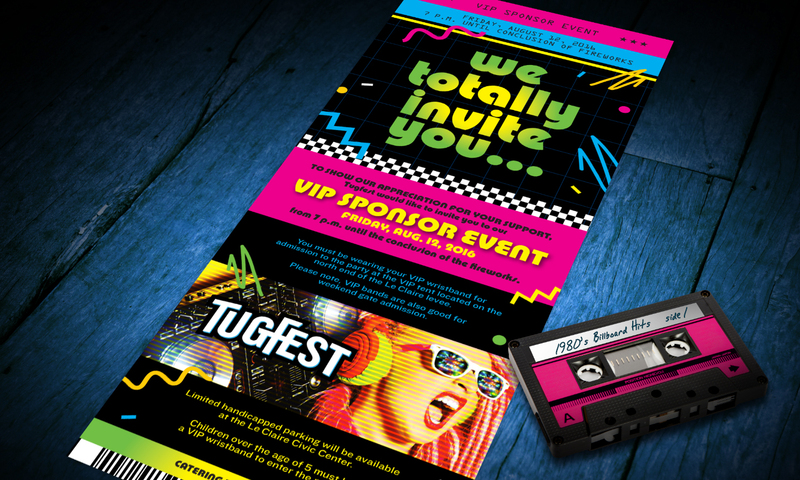 For 2016 the TugFest committee wanted an 80s theme – this was music to our ears! 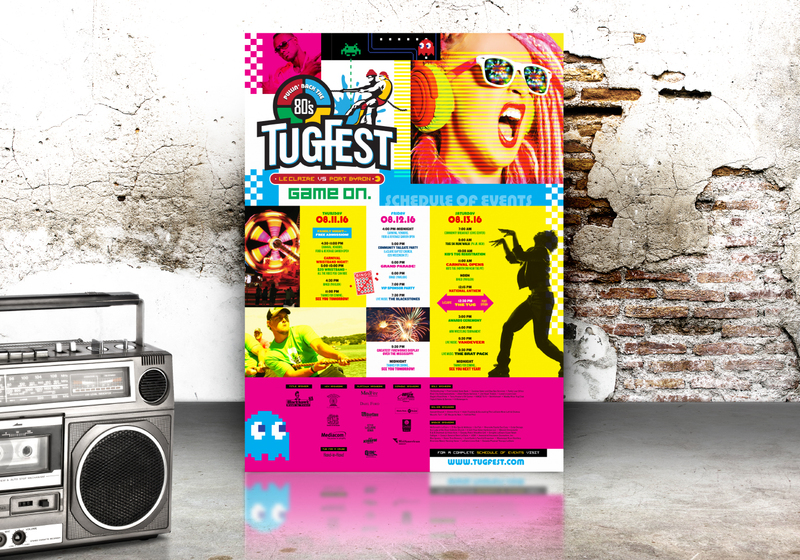 ;-) Our designers took the theme and developed fun, engaging and visually appealing marketing materials that were impossible to miss. Go Iowa!